← Low Oil Prices: Sign of a Debt Bubble Collapse, Leading to the End of Oil Supply? 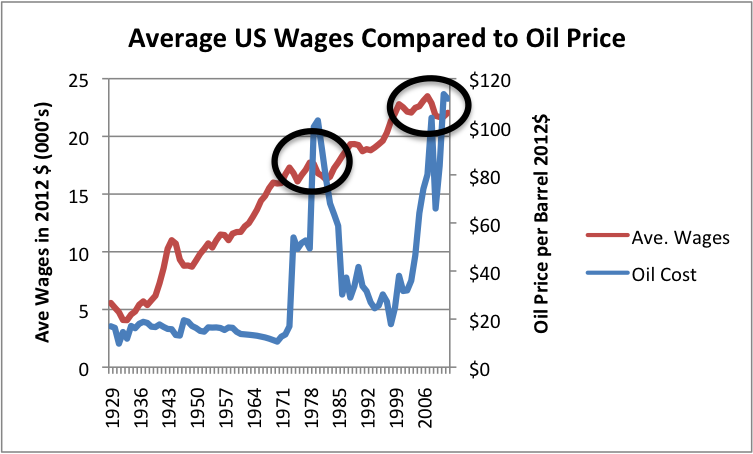 A two-way problem with the price of oil. On one side is recession, when oil prices rise to unaffordable levels. Economist James Hamilton has shown that 10 out of 11 post-World War II recessions were associated with oil price spikes. He has also shown that there is good reason to expect that the Great Recession was related to the run-up in oil prices prior to 2007. 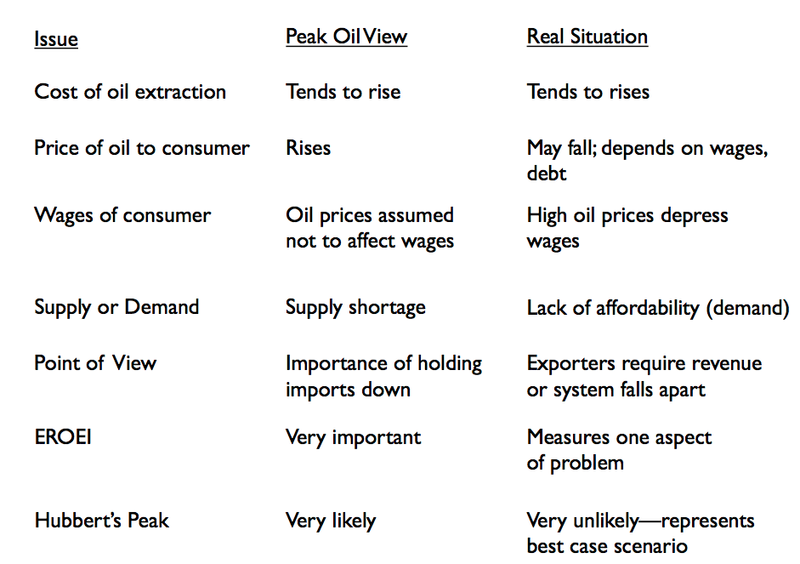 I have written a related paper–Oil Supply Limits and the Continuing Financial Crisis. One temptation for Peak Oilers has been to jump on the academic bandwagon, looking for substitutes for oil. As long as Peak Oilers don’t make too many demands on substitutes–only EROEI comparisons–wind and solar PV look like they have promise. But once a person realizes that our true need is to keep a networked economy growing, it becomes clear that such “solutions” are woefully inadequate. We need a way of overcoming diminishing returns to keep the whole system operating. In other words, we need a way to make wages rise and the price of finished goods fall relative to wages; there is no chance that wind and solar PV are going to do this for us. We have a much more basic problem than “new renewables” can solve. 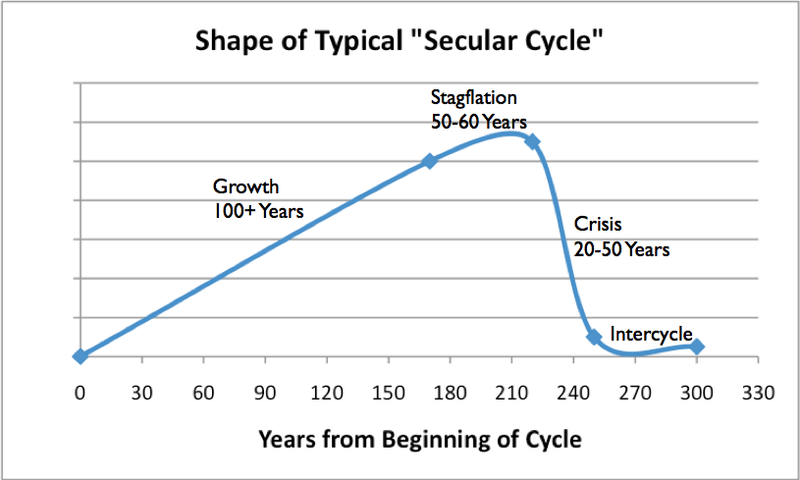 If we can’t figure out a solution, our economy is likely to reach what looks like financial collapse in the near term. 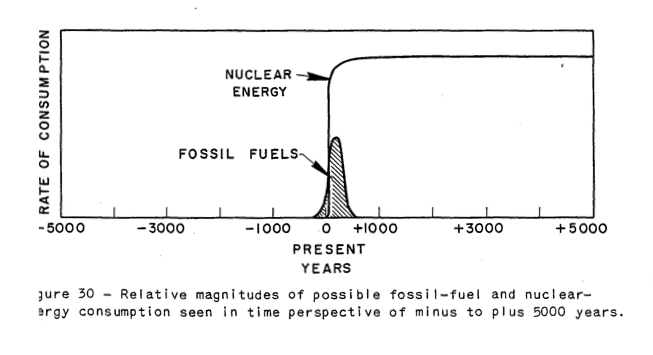 Of course, the real reason is diminishing returns from oil, and from other resources as well. This entry was posted in Financial Implications and tagged economic growth, great recession, networked economy, peak oil, recession. Bookmark the permalink. lay your hands on it! press your feet upon it! Life lives in it and springs from it! Base your joy upon it! 7.2B will not be able to wait for the world’s ag land to be repaired .. strip by strip…. “We can have local economies, but they may need to be pretty low level economies”. Yep. This is not a worse case scenario.